During a recent power outage, we connected our Prius to the Converdant inverter that we purchased and installed in anticipation of the need for emergency power. The inverter supplied out house with 240V/120V split-phase pure sine wave AC power. 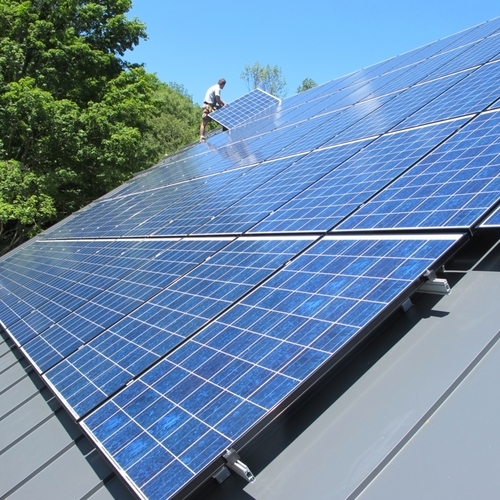 On Sunday morning June 30th, we experienced our first prolonged power outage since moving in to our new passive house in Connecticut. A tree came down on one of the power lines around the corner and power was out for about six hours. It was time to see our inverter in action — the inverter that we bought from Converdant Vehicles to turn our Prius into a backup generator. We placed the inverter on the porch and connected it to the generator sub-panel outlet in the garage. We then parked the car in front of the garage and connected the car to the inverter with a cable we had professionally installed into the hybrid battery. We turned on the car, turned on the inverter, and flipped the switch on the generator sub-panel. (The sub-panel controls our critical circuits.) Instantly, our well pump and ventilation system were back up running. When I turned on the car, I noticed that it was almost out of gas, down to the last bar on the display. Fortunately, this setup is very efficient. The inverter takes as input the DC current from the hybrid battery. As the hybrid battery loses its charge, the Prius’s gas engine turns on to recharge the hybrid battery. 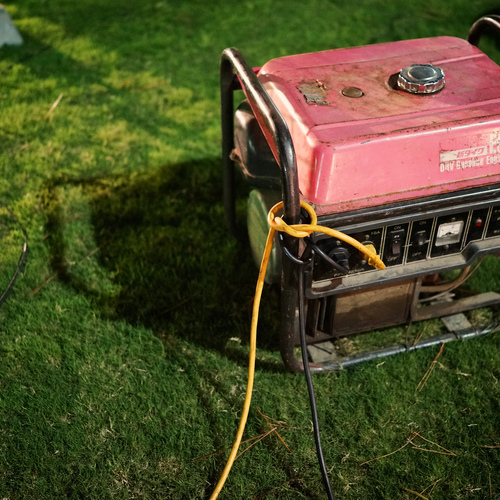 If there is only a small appliance load on the inverter, the gas engine turns on infrequently. We only had a few hundred watts of power being drawn, so we used little gasoline. Another cool thing is that the only noise this setup makes is the sound of the Prius idling. We could hear our neighbors’ loud gas generators from hundreds of feet away, but most of the time we were pulling electricity from the Prius in silence because there was plenty of charge in the hybrid battery without the car even idling. Perhaps the most impressive aspect of this setup is that the inverter generates 240V/120V split-phase pure sine wave AC power. With it, we can operate both 240 volt appliances (well pump, HRV) and 120 volt appliances (fridge, lights, computers). Because it’s pure sine wave power, we don’t have to worry about the generator frying our computers, TVs, etc. I was able to watch recorded TV on an LED flat panel using a signal from our Windows Media Center PC we use as a DVR while the family took hot showers (complements of the sunny day prior to the outage). All this while the Prius either sat silently or idled in the driveway. Paul Honig lives in a passive house in the northwest corner of Connecticut with his wife Diane and two boys. He enjoys teaching math and playing roller hockey. Paul and Diane are the authors of a blog called Our Connecticut Passive House. This is the first report I've read from someone actually doing this- thanks. How closely did you have to monitor everything while running the house off the car? Does the Prius start itself when the battery was getting low, or did you have to do something? Did you have to charge the Prius itself when the power came back on? Any conversation with Toyota on effect on the warranty? I didn't really monitor what was running in the house. I'm pretty sure the inverter will turn off if you try to draw too much power. It's a 3kW inverter and we were careful only to put essential circuits in the generator sub-panel. The beauty of this set up is that it takes advantage of the Prius battery management. The Prius knows when the battery is low and it needs to idle the engine to recharge the battery. You simply leave the car on without any additional intervention. No need to charge the battery after the power comes back on. The Prius does this automatically. In theory even if the car ran out of gas, the inverter would turn off before running the battery too low and damaging the battery. I didn't speak with Toyota about the warranty. My car was out of warranty anyway. What is the setup cost excluding the car ?? It is illegal in many states to leave a vehicle running unattended. Showing where it's illegal to leave a car on your property running unattended? I could believe it on a public road. And Paul, thanks for all the info. Really exciting seeing how all the pieces fall together. Jin, I set this up in new construction home that had provisions for backup power included, i.e a sub-panel containing important circuits and a receptacle for power to that sub-panel in the garage. I don't know what that cost to set up. For me the only question was what would be the power source to the sun-panel. Most of the houses I do have back up generators, which after seeing this seem cumbersome and redundant when you can use an existing source for the same function. The only downside I see is that many of the systems I install come on automatically when power is lost, so you don't lose the contents of your freezer or have the sump back up if you are away. This system does require some intervention, but maybe that isn't that big a deal in most situations. It sounds like a viable option that would be particularly great if the car manufacturers would build in a connection to the high voltage battery that could alternatively be used for charging. Then again a larger capacity battery would even be better. Most hybrids only have enough capacity for a two mile all electric trip. Some have speculated that a future fleet of battery powered cars with large capacity storage (like Tesla's 200-265 mile capacity today) could conceivably store power during the day (perhaps with PV) or other periods of excess capacity and return it when it was needed, acting as a giant collective storage mechanism. Combining that all electric fleet with solar, wind, hydro, and natural gas generation would probably issue in a brave new world (in a good sense). I have also heard of laws against idling as a way of preventing theft of vehicles. Do you have a PV system? If so, was the power signal from the Prius/inverter sufficient to keep the PV system awake and generating? Does the Converdant inverter have the ability to backfeed and charge the Prius battery, if PV production exceeds momentary usage? I do have a grid-tied PV system, but it doesn't interface with the Converdant inverter. When the grid goes down the PV system also goes down and we run the house off gasoline through the Prius. Power is pretty reliable where we are, so this set up works well. Cars run much, much cleaner than portable generators. From an air quality or noise standpoint, the Prius option is preferable. I leave my truck (a newer clean diesel of course) running sometimes, but lock the doors. End of theft. Fords have keypads on the door. I love my keypad! 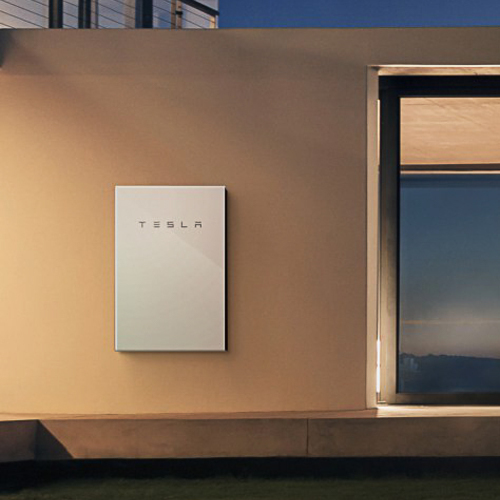 If I had another life to live, I would love to have PV, a Tesla, have all work together, and have NO connection to National "Grip" 25cents/KWH this winter with no prior notice. Lovely. Interesting set up but sounds expensive. Cost of Prius conversion??? number of times already, with quite satisfactory results. The only thing done to the Prius was to have a cable installed to connect to the hybrid battery. That cost about $75. You mentioned pure sine wave several times can you explain a little further about that phrase. Pure sine wave resembles the power you get from the grid. You can use it to power sensitive electronics like computers and LED TVs. A typical $1000 generator you get at Home Depot is not pure sine wave. You wouldn't want to power sensitive electronic with that type of generator because of the risk of damaging the electronics. 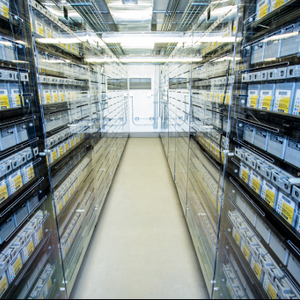 This, plus PV inverters that will sync to the hybrid car (doesn't have to be a Prius) generated power is the holy grail of electric grid resiliency. It's *so* much more practical than standby generators and could even be designed (with a little bit of control architecture) to allow islanding or supplementation of entire neighborhoods that get cut off from the main grid due to downed power lines or other sources of blackouts/brownouts. Unfortunately this is probably going to require collective (government) action because the car makers don't want you doing this because of their warranty exposure, and the power companies don't want you doing this because people may start selling peak power back to the grid when it becomes cheaper to generate with your hybrid car than what the power companies are charging! I've got a 2013 LEAF, and the conventional 12V battery onboard is charged automatically from the traction battery, using a 1700W onboard DC-DC converter (the onboard accessories also use 12V). This means that I can simply clamp a 12V sine wave inverter across the 12V system. The 12V battery can condition surges, so a 1500W/3000W surge sine wave inverter (costing $250) should be ideal. Haven't set up the system yet....was planning on doing so soon. Without a gas engine, I can leave the whole setup in my attached garage, but I can 'only' get 15 kWh out of the car before it needs a recharge. In principle, I can drive to a nearby Nissan dealer with a DC quickcharge station (if they have grid power) and pick up 20 kWh of juice in 20 minutes or so (for free), then drive it home.... If I only need 5-8 kWh per day, probably not too big a chore. We have a 1 kw full sine wave inverter on our 2007 Prius. 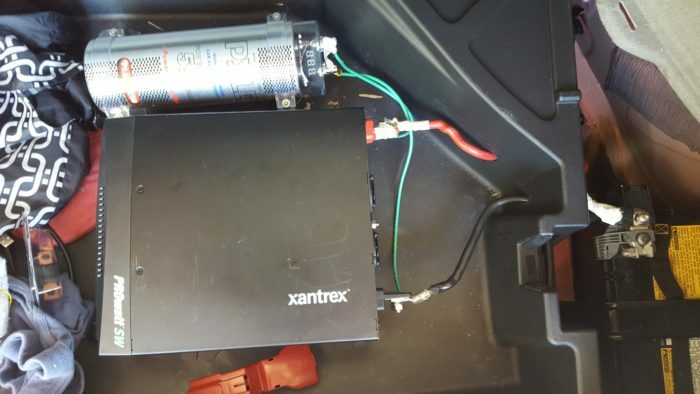 It is hooked with heavy cables to 12 Volts at the auxiliary battery, and gets the 12V from the traction battery via the Prius' dc./dc converter. We are in Maine - the grid goes out several times per year for up to three days. It will run the essentials - oil heating burner blower and hot water circulation, refrigerator, tv, computers, but not our 230v water well pump or microwave. 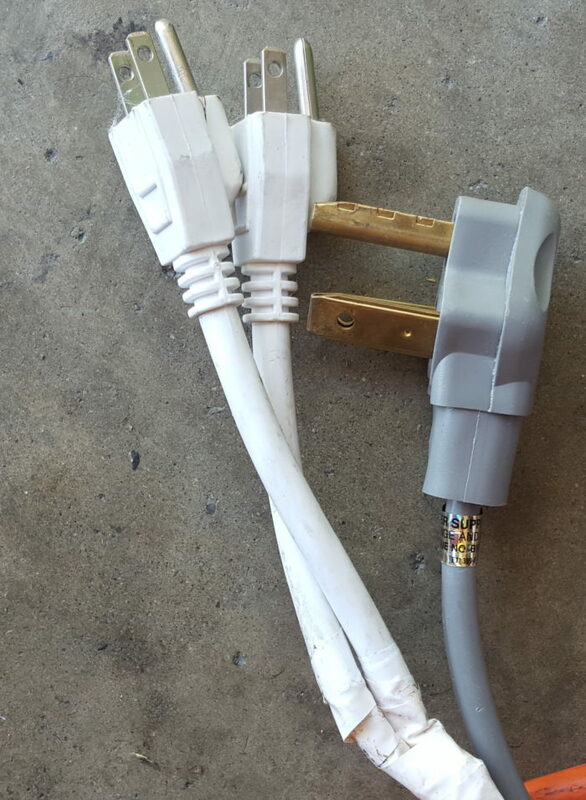 We don't have a sub panel- connections are made with heavy extension cords, a hassle. There is a common grounding point. Cost - significantly under $1k. The Converdant (they have several models) line was not available at the time. If only the well pump needed 230v, an autotransformer on a heavier 120v Converdent setup would be adequate. We have taken our setup on the road to run a computer, printer, and light tools. It could also be used for a low-power microwave. A heavier unit would typically be kept at home, to be plugged into a traction battery connection. "Please note, Kva ratings are 1.2 times the kw rating for the same product. 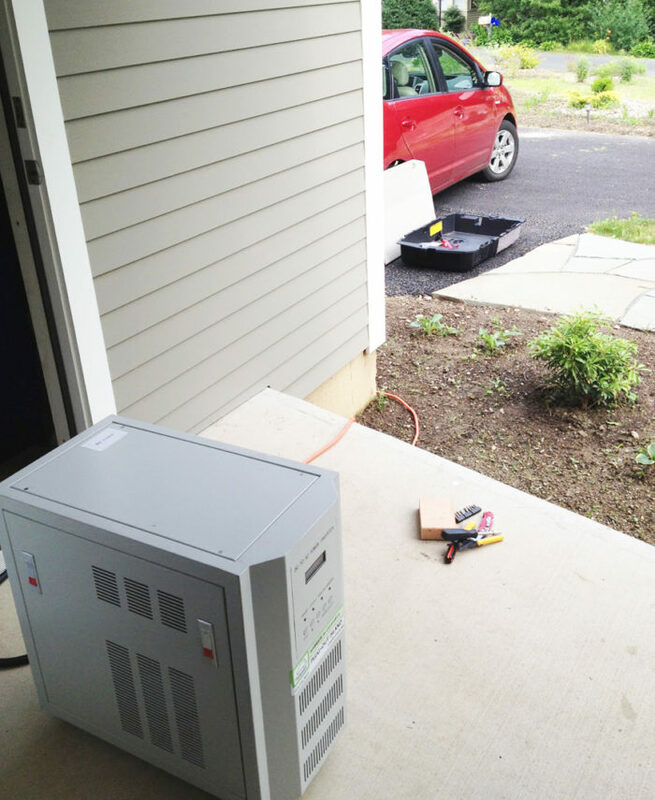 This may help when doing wattage totals of appliances and choosing an inverter." very impressive. You should be able to pull a lot more than 1.2kw when hooked to the traction battery. How Much more? I have a 2 kw full sine wave inverter on our 2010 Prius. It is hooked with heavy cables to 12 Volts at the auxiliary battery, in the back. I can pull 1200w continuous. Mine goes with me anywhere the car goes! A better placement, voltage loss wise, would be in the front of the car. but there is no room tor the inverter. Does anybody know of a small, 2-4kw inverter that will run off the traction battery? PS I can run the following continuously: All at once: Small A/C for my office. 2 computers and three large monitors. THE REFRIGERATOR. several CFLs through out the house. The A/C fails to start sometimes. I have to reduce the load sometimes to start it. I wish to agree wholeheartedly with Scott; the car manufacturers I have been in touch with will have nothing to do with this and say that their warranty will be voided by such a connection. And ConVerdant offers no warranty whatsoever regarding damage to the vehicle! Although I VERY MUCH want to do this, and have been looking into it for several years, there is no way I am going to risk a $25,000 investment with no assurance from anyone that it will work or that I will have recourse if something goes wrong with the electrical system in the car. Running a Prius to power an inverter will not over heat the Prius. Ask any Prius cab driver. It can be done in Alaska. I’ve lived in my Prius exclusively with a large inverter for 5 years. The inverter I added does not auto start the gas engine to charge the Prius any more often then the AC does. I have met a number of electrical engineers like the posters here who overthink the situation and say it can’t be done: they have never tried it nor measured the results with instrumentation.